Whenever I do a talk with a group of parents who are struggling with helping their baby to stay asleep, they often ask me for advice on how they can help their baby who wakes up once they put them down in their cot. No matter how carefully they place their baby down, tiptoe away, or how many wishes they make as they cross their fingers, no sooner does their sleeping baby touch the mattress, they then startle awake. The problem doesn’t come from the put down. The secret to avoiding this startle awake is the nursing to sleep at the beginning. Just take a moment to think about how this is for your baby. They fall asleep, cuddled in your arms (aching that they are), while they fall asleep they are sucking, warm milk has filled their tummy’s, they can hear your heart beat, smell you, feel your warmth, touch and even hear your soothing voice. At the same time you may stroke, pat, rock your baby. How lovely is this! At some point, usually we try to wait until we think our baby is sound asleep, we gingerly lift our baby and gently, ever so gently place them in their cot. On the still, cool sheet/mattress. No movement, no sound, no sucking, no warmth, touch or smell. Without realizing it you have just changed your baby’s cues to go to sleep. And quickly they startle, wake up as soon as you put them down. To cry their protest. The key to helping your baby to keep sleeping it to place them in their cot awake at the very beginning. That way there is no change in position, warmth, company or sucking. They can then fall asleep in their cot and the cues are the same. There is no transition. 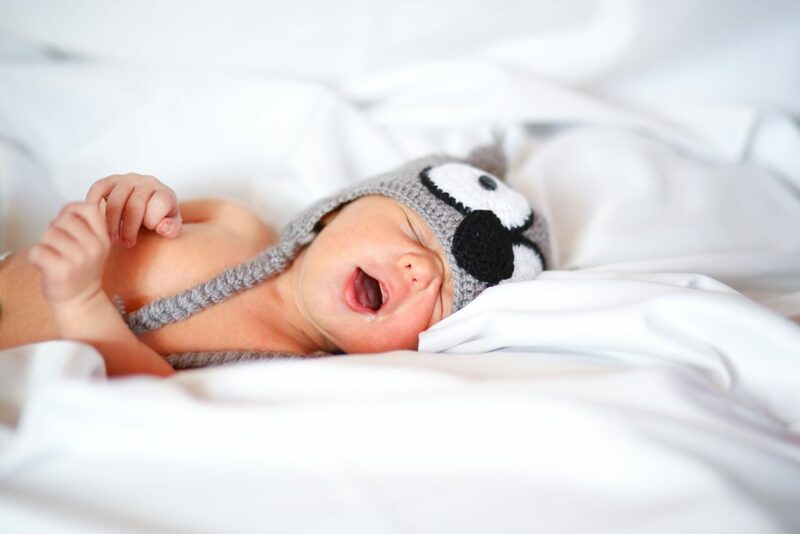 So if this sounds like your baby, then start to work on ‘how they fall asleep’ in the beginning as this makes all the difference and avoids the put down.